Ok, time for a real another quick review (because this one disappeared pretty quickly). Let me be honest and admit that my brain read strawberry cheesecake when I bought this container (it was late and I was delirious from hunger). 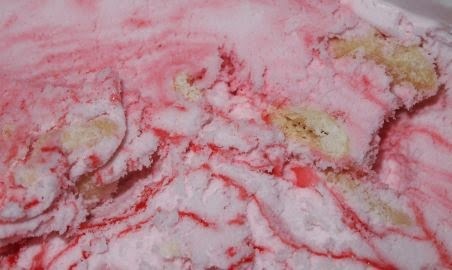 I take my first bite and boy is there lots of fun strawberry flavor, which is good, because like I said, I was expecting a mild strawberry flavor that usually accompanies cheesecake flavors, so I'm happy for the extra flavor. The cake bits are dry and fresh, somewhat gritty/crunchy, and not real sugary (aka a bit bland). Simply put, this is a fun flavor, and I'm fine with that. It's not meant to be all natural and wow you with strawberry bits or anything else fancy. It's just a soft textured ice cream. 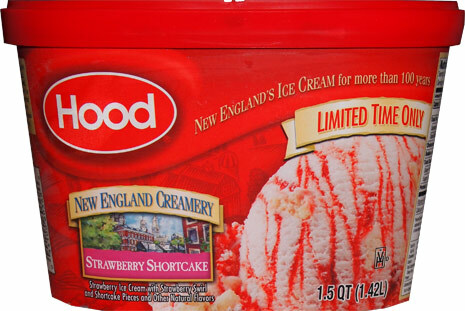 It's also not a high end creamy base, so the strong strawberry flavor doesn't quite translate into that strawberry whip cream flavor that I've found in some premium ice creams. It's fine though, this one is more than sufficient for a budget ice cream. 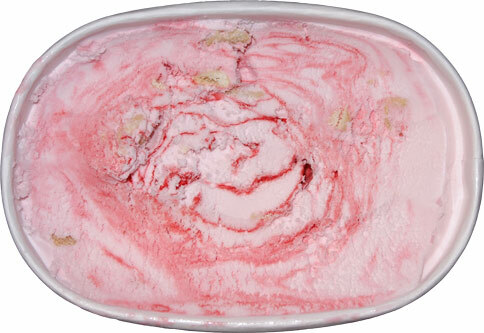 I dislike strawberries and strawberry ice cream but I love B&J's Strawberry Shortcake Greek Frozen Yogurt. How does this compare? whoa, those are very different products. there's different texture, no greek tang, no strawberry bits, much sweeter, not natural, etc etc. Polar opposites. @Russell: it was a limited time only for 2013, can't remember if I saw it come back in 2014. Maybe it'll come back in 2015.